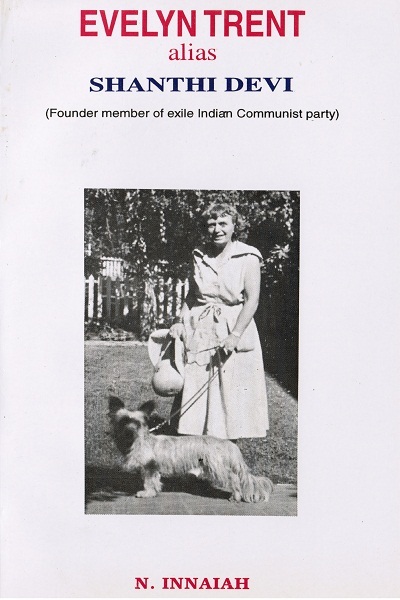 M.N.Roy, the international communist turned into Radical Humanist married Evelyn Trent in USA. This fact was not known to the world since Roy did not mention it in his famous Memoirs. But Evelyn was not a person to be ignored. She played great role in Mexico communist party formation during 1919. Later Evelyn taught in International political school in Moscow where world leaders like Ho Chi Minh were students. Evelyn helped M.N.Roy in editing international journals from Europe namely Masses and IMPRECOR. Above all, Evelyn was the founder member of Indian communist party started in Tashkent (in exile) during 1920s/ The communist party history written by Muzafar Ahmad and others acknowledged the fact. While facts show such key role played by Evelyn, it is surprising that the close associates of M N Roy who wrote his biography never mentioned about her. Once such person was V.B.Karnik. The research about Evelyn Trent was done by Innaiah Narisetti from 1992 onwords and completed within one decade. Evelyn led normal life in USA after return from Roy during 1927 and she died in Sacramento, USA in 1970. శర్మ కాలక్షేపం కబుర్లు - పీత్వా పీత్వా పునః పీత్వా..